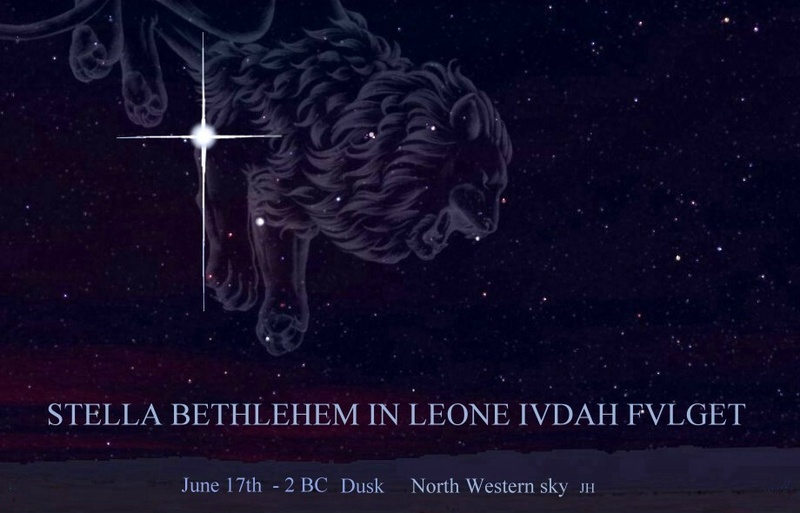 THE STAR OF BETHLEHEM: An Astronomical Reflection. The Christmas Star is embedded in many of our Christmas carols and has become an integral part of the Christmas Story. In order to ascertain what the Star of Bethlehem really was, we must realise that 2,000 years ago any object in the sky, other than the sun and the moon, were considered to be stars. 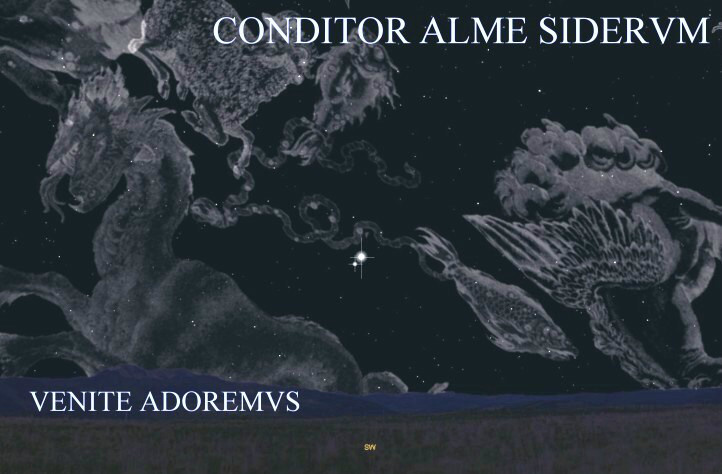 There were meteors (falling stars), comets (hairy stars), novae (new stars), and planets (wandering stars). The Star of Bethlehem could have been any one of these. We can immediately dismiss a shooting star as a possibility. A meteor is visible for only a fraction of a second as it rushes through the atmosphere to be vaporized in the process. Even a large meteor or fireball could shine for a few seconds only. The wise men were impelled to leave their own country and travel for months, apparently with the "Star" in view. Modern estimates place the date of Christ's Birth in the spring of the year 6 BC, but we cannot be absolutely certain about that. No bright comets have been recorded around that time. Halley's comet, which returns to Earth every 76 years, had been seen in 11.B.C. but that was several years too soon! Novae are faint stars, which suddenly flare up and increase drastically in brightness. Supernovae can be brighter still. They can occasionally outshine every star in the sky and remain bright for several weeks or even months before slowly subsiding and becoming faint once again. 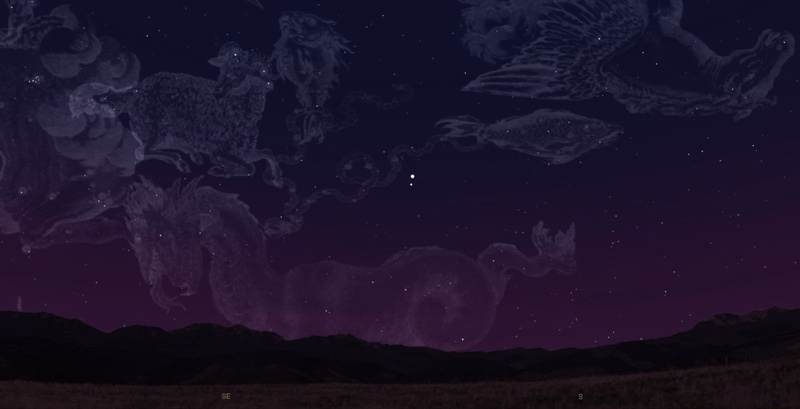 Ancient Chinese astronomers recorded one such nova in the constellation of Capricornus in the year 5-B.C. and so this could be a possible candidate. However, the wise men were astrologers from the Persian area who were more interested in the positions of the ‘wandering stars’ or planets, and the clue to the true identity of the Star of Bethlehem could lie here. Astrology is the belief that events occurring in heaven, amongst the planets, affect the lives of people and situations upon the Earth. Astrology was a major part of the religion of the Middle East at the time of Christ's birth and the wise men were most probably astrologer-priests. In the year 7.B.C., on May 29th, September 30th and December 5th, there occurred three conjunctions of the planets Jupiter and Saturn against the stars of the faint constellation of Pisces, the Fishes. 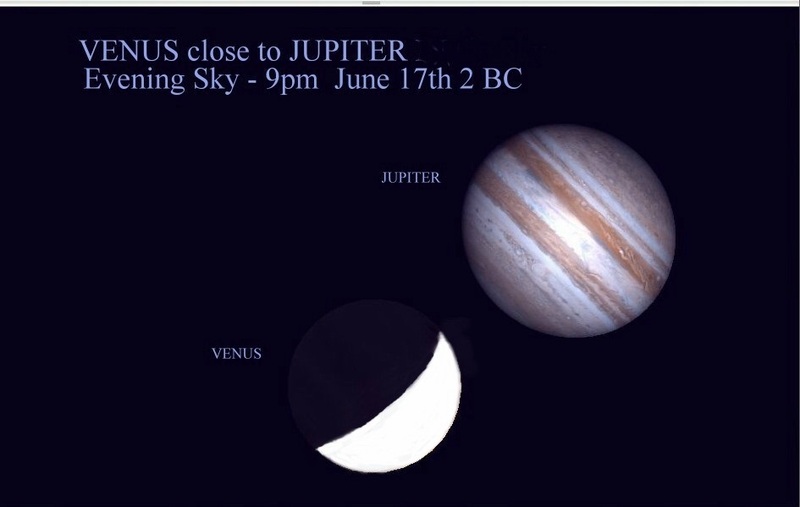 A conjunction of planets is where they seem to lie close together in the same part of the sky. Although not particularly outstanding to the casual observer, the three conjunctions would have been of immense importance to astrologers. According to ancient astrological tradition, Jupiter was the 'Royal Star' of Kings, and Saturn was the ruling 'Star' of the Jews, as was the constellation of Pisces in which the triple conjunction occurred. To the eastern astrologers, the message of this series of events could have been that a new king of the Jews had been born. The above explanation does not tell of a beautiful star though, the sort of star we see on our Christmas cards; so we ask the question – Was there something ‘shining with royal beauty bright’ in the skies above the middle east around the time of Christ’s birth? The answer is yes - there was! First Conjunction of JUPITER and SATURN, in PISCES. May 29th. 7 BCE. Dawn Sky. Second Conjunction of JUPITER and SATURN, in PISCES. September 30th. 7 BCE. Dusk Sky. Third Conjunction of JUPITER and SATURN, in PISCES. December 5th. 7 BCE. Dusk Sky. Generated using: 'Starry Night Pro' software. The Wise Men and their star are unique to Matthew’s Gospel. This Gospel is the most Jewish, Matthew was particularly interested in the fulfilment of Old Testament prophecies. It is important to remember that the rabbis had produced commentaries on the Scriptures – ‘Midrash’. So, Matthew was not making such a great leap in his application of Old Testament texts. Numbers 2417 reads, ‘… a star shall come forth out of Jacob’. Although the immediate context is the story of Balaam and Balak, the verse had come to be understood as having a messianic content. It was this that Matthew incorporated in his account of the birth of Jesus. It was his way of saying, ‘Here is the Messiah’. It should also be said that people in the Eastern Empire were expecting something to happen. In his ‘Life of Vespasian’, Suetonius wrote, ‘There had spread over all the Orient an old and established belief that it was fated at that time for men coming from Judæa to rule the world.’ The Jewish historian, Josephus, wrote, ‘… about that time one from their country should become governor of the habitable earth.’ Almost at the same time as the birth of Jesus, we find the Roman Emperor being hailed as the ‘Saviour of the World’. We might say that Jesus was born into a ‘waiting world’. It had long been a common Middle Eastern belief that events and the destinies of human beings were in some way determined by the stars. The attraction was that stars pursue an unvarying course – an acceptable antidote to the chaos in which most people found themselves. If a brilliant new star appeared, or an astronomical phenomenon disrupted the normally fixed course of the heavens, it looked as if God was breaking into his own order, announcing something special. It is generally accepted that the Wise Men were ‘magoi’ who came from somewhere east of the Jordan. But this supposition about their place of origin is based on a mistranslation of Matthew 22b, ‘For we have seen his star in the East’. The Greek says that they had seen the star ‘at its rising’. It has long been argued that Matthew brought the Wise Men into his account of Jesus’s birth because they were Gentiles, but they could have been Jewish! 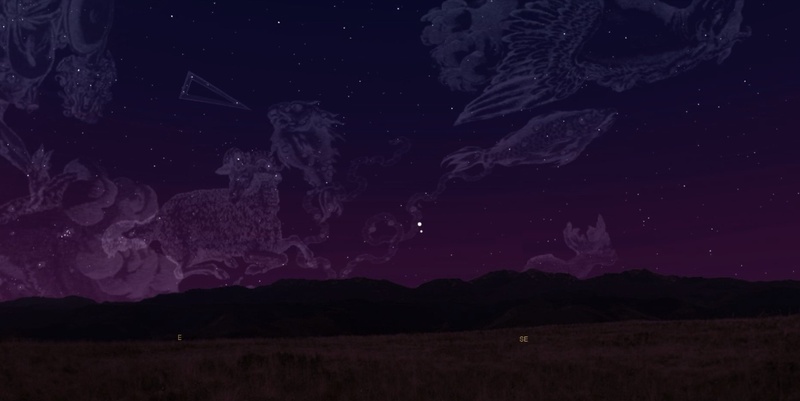 Like other ancient Middle Eastern peoples, the Jews believed that stars were animate beings. Furthermore, the Jews often identified them with angels – the messengers of God. The apocryphal ‘Arabic Gospel of the Infancy’ and the mediæval Byzantine exegete, Theophylact, thought that the star which led the Magi to Jesus was an angel. The New Testament contains a considerable shift in the way in which ‘magi’ were seen. Matthew reflects the long-held view that these were wise men. But the early Christians disapproved of such people, including them with magicians, sorcerers and charlatans. They were suspicious of Matthew’s birth narrative because it appeared to favour astrology. The star leads them to Jesus, in whom the power of astral determinism is broken. This view is reinforced by a legend that the star, having fulfilled its purpose and now redundant, fell from the sky over Bethlehem.